MASONIC BLUE - The color of Freemasonry. The origin of Masonic Blue is somewhat of a mystery.....or is it? Colors are somewhat subjective for each of us. Different people see colors differently. Even each graphics program and computer monitor displays them a little differently and so, even the color "light blue" can denote a vast array of hues or tones of the same color. Freemasons learn that the answer to this question is that Masonic Blue is the color of the starry decked sky,... the celestial clouded canopy that covers each and every one of us. But,... why "blue"? Why not purple or red or any other color in the spectrum? Q: And... what exact hue of blue does Masonic Blue represent? ...the light, clear blue of a Summer's day, the dark blue before the storm? But, first...let's go back in history and "poke around" a bit, shall we? We see the colors blue and gold repeatedly used together throughout nature, in the scriptures and in the process of learning why blue is a sacred color. The sky is blue. The sun's rays are gold in color. Therefore, it is easy to see why the colors blue and gold have historically been associated with Deity (God, G_d, the Creator, the Almighty, the Supreme Architect of the Universe). 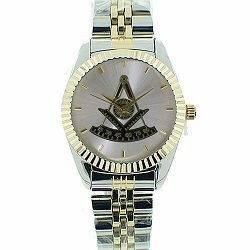 We see the colors blue and gold repeatedly in Masonic paraphernalia such as gold Masonic rings with the ring's face or background being blue. 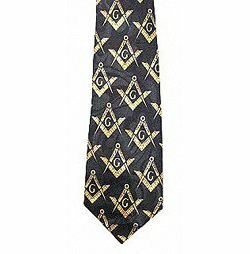 We see Masonic Blue on a Masonic lapel pin, most Masonic cufflinks, Masonic gifts and the overwhelming majority of Masonic jewelry...not to mention upon Masonic aprons and other Masonic supplies. Is there one single, definitive answer as to why Freemasonry's primary color is called "Masonic blue"? There are an overwhelming number of thought provoking indicators throughout history that lead us closer to the answer. Throughout the Books of Exodus and Numbers are many references to the color, blue, and several more are to be found in Chronicles, Esther, Jeremiah and Ezekiel. What is an Ephod? An ephod is a part of the sacerdotal (of or relating to priests or a priesthood) habit (clothing or vestments) among Jews. It is a covering for the back and breast, held together on the shoulders by two clasps or brooches of onyx stones set in gold, and fastened by a girdle of the same material as the ephod. The ephod for the priests was of plain linen. The ephod worn by the high priest was richly embroidered in colors. The breastplate of the high priest was worn upon the ephod in front. Thus, the ephod is essentially an apron-like garment. ...“bind the breastplates with a lace of blue,” “pomegranates of blue,” “an hanging for the tabernacle of blue,” “needlework of blue,” “a cloth wholly of blue. He develops the idea that blue was anciently, and universally sacred. Down through not just the centuries,...but the milleniums (thousands of years), we see evidence of blue as denoting many sacred attributes. Man’s earliest forms of worship were of the sun and fire. The sun rose up against a blue sky, traveled and set in a realm of blue; so to associate the color with Deity is as obvious today as it was, then. The Egyptians, too, believed that the color blue was a sacred color. Their god, Amun, was painted light blue. Who would not rever You, O King of the nations? In mystical Chinese philosophy, blue represented the symbol of the Deity. 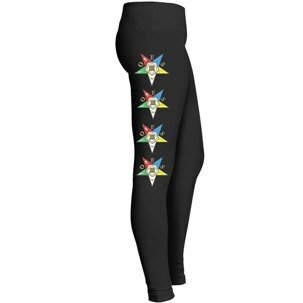 They believe blue to be composed of black and red which represent the male and the female and the active and passive principles. The Hindus believe that their God, Vishnu, who is represented by a celestial or sky “blue,” symbolized the wisdom which emanated from God. Jacob, Abraham's grandson, saw a ladder ascending from earth up into the blue of the heavens. Henceforth, it has been known as "Jacob's Ladder". Among the Druids, (wise men and philosophers) blue was the symbol of truth and the candidate, in the initiation into the sacred rights of Druidism, was invested with a robe composed of the colors, white, blue and green. Blue is not only the color of the sky, but of the oceans, of pure mountain streams and lakes. It is an emblem of purity and beauty. The color, blue, has long been held to signify eternity and immortality; pale blue is especially associated with peace. In royal heraldry, blue or azure symbolizes chastity, loyalty and fidelity. In painting, the color, blue, is frequently used in ethereal settings, such as of clouds and angels. Thus, blue signifies humility, fidelity as well as hope and faith. We are taught that the covering of a Lodge is the clouded canopy or starry decked heaven. In the United States, lodges are called "blue" lodges. Freemasons in other parts of the world, do not call their lodges "blue" lodges,...and they find this to be a particularly "American" curiosity. ...As well as: Peace, humility, fidelity, chastity, purity, eternity, immortality, beauty and wisdom. And, of course, True Blue denotes loyalty. In addition, ...over the centuries, languages have changed, boundary lines of countries have changed, many countries have been renamed and eras in history have created marked changes in religious beliefs and civilization.....but throughout the milleniums (thousands of years), the color blue has steadfastly remained as a sacred color....not only the Masonic Blue of Freemasonry, but worldwide. Q: So is that the answer to why Freemasons wear blue ..."Masonic Blue"? 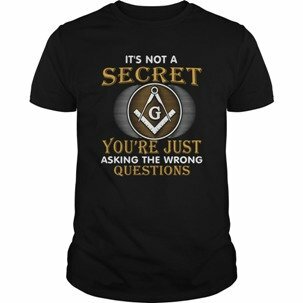 A: I don't wish to assert myself as THE voice of Freemasonry, but would rather provide you with the historical facts and let you decide. What we do know with authority is that the color blue is a sacred color. Circa 1348: (1344-1351) (Medieval England) The Most Noble Order of the Garter was founded by King Edward III as a society, a fellowship and college of knights. Circa 1500s: Previous to the 16th century, the "mantle" vestments (robes) worn by members of royalty were made of wool. By the 16th century, they were made of velvet. Circa 1600s and 1700s: The mantle was originally purple, but varied during the 17th and 18th centuries between celestial blue, pale blue, royal blue, dark blue, violet and ultramarine. Today, mantles are dark blue and lined with white taffeta. "Shamed be the person who thinks evil of it." 1687: James VII of Scotland (also known as England's King James II) instituted the modern order in 1687, however there are legends that go back to 787 as to its original inception. The Most Ancient and Most Noble Order of the Thistle is comprised of the sovereign (ruler) and 16 Knights and their Ladies. These 16 members were required to be Scottish-born. In addition to the sovereign and the 16 Knights and their Ladies, the Order also included "extra" knights (members of the British royal family and foreign monarchs). The Order's primary emblem is the thistle, the national flower of Scotland. Scotland's Most Ancient and Most Noble Order of the Thistle is equivalent in England to the Most Noble Order of the Garter, the oldest documented order of chivalry...dating back to the middle of the 14th century. In 1687, the color of the "ribband" was purple-blue in color. The Order was allowed to become non-operative for many years, however when Queen Anne came to the throne in 1733, it was re-founded and the color of the ribbon was changed. Today, the ribbon of the Order is a broad dark green sash worn across the body...from left shoulder to right hip. Q: That is interesting, but it still doesn't tell us anything about the hue of blue represented by Masonic Blue. A: OK....let's go back a little further into the books....or, I should say, "Book", ....Let's explore the Holy Scriptures. We'll look at the Old Testament in the Christian Bible, first. 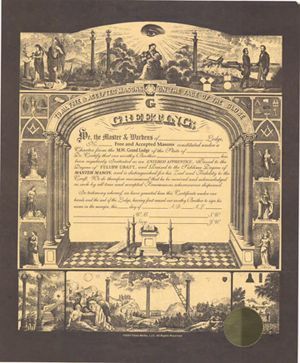 Remember,...Freemasonry has its roots in the Holy Scriptures from whence emanates Masonic "Light". 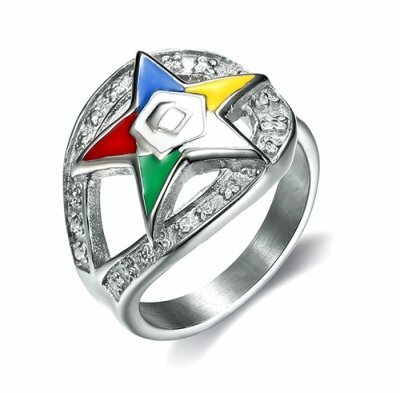 Remember, too, Freemasonry is universal. Therefore, the words "Holy Scriptures" connote different holy books to peoples of different religions. To Jews, it means the Tanakh, (the Hebrew Bible, which contains the Torah, the Nevi'im and the Kethuvim). Hosea, Joel, Amos, Obadiah, Jonah, Micah, Nahum, Habakkuk, Zephaniah, Haggai, Zechariah and Malachi. Psalms, Proverbs, Job, The Song of Songs, Ruth, Lamentations, Ecclesiastes, Esther, Daniel, Ezra, Nehemiah, 1 Chronicles, 2 Chronicles. The Talmud: The Jewish people also consider the Talmud to be one of their Holy Books, as the Talmud is a record of rabbinic discussions pertaining to Jewish law, ethics, customs, and history. It is a central text of Rabbinic Judaism, second only to the Hebrew Bible in importance. The Talmud has two components: the Mishnah (circa 200 CE), the first written compendium of Judaism's Oral Law; and the Gemara (circa 500 CE), which is a discussion of the Mishnah and related Tannaitic writings that often discusses other subjects and expounds broadly on the Tanakh. We know that the Jewish Torah is approximately 1700 years older than the Christian Bible. We also know that the first five books of the Old Testament (Genesis, Exodus, Leviticus, Numbers and Deuteronomy) originate from the five books of Moses, which are found in the Torah. The Torah is comprised solely of these five books of Moses. 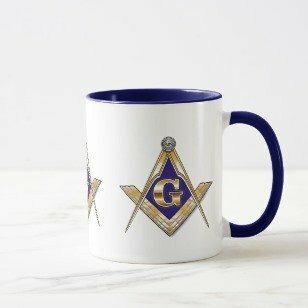 Why is it called Masonic Blue? OK...so, what have we learned so far about what we call Masonic Blue? Derives its name from the word "tekhelet", which is Hebrew for "perfection"
And, ...most intriguingly...blue was deemed to be a sacred color by even those who worshipped pagan Gods. Why is this so intriguing? It is intriguing because they did not have the reference book that we currently have available to us...the Torah or the Bible from which to find this knowledge. How did THEY know that blue was a sacred color? This leads us to believe that blue was a sacred color long before we have found any written documentation to prove it. Fascinating. TECHELET FROM THE CHILAZON...A Thread of Masonic Blue? The Hebrew Bible mentions a specific blue dye, called Tekhelet, (also spelled Techelet) for use in the priestly garments as well as was incorporated in the layman's tzitzit, (the formal tassels or fringes of clothing, which some believe refers to the azure-turquoise-indigo blue dye from a sea snail called a "Chilazon"). (also called Hexaplex trunculus). Initially purple in color, when the dye is allowed to be placed in the sun, it turns a bright azure/ turquoise/ indigo color of blue. As is commanded in Numbers 15:38-39, this azure- turquoise-indigo color which in Hebrew is called (Techelet...or Tekhelet) is a string usually made of dyed wool which is worn with 1 blue string out of every 4 knotted strings on each corner of the tzitzit. At some point following the Roman exile of the Jews from the land of Israel, (between 200-600 C.E.) the industry that produced this dye collapsed. The last known mention of techelet is in the Talmud, (the Jewish rabbinical discussions). It is only from the Talmud that any reference on how to obtain tekhelet may be found. Tekhelet Dye Restrictions: (100 BCE - 68 CE) – Roman Emperor Caesar (100-44 BCE) and Roman Emperor Augustus (63 BCE -14 CE) began restricting the use of these beautiful, expensive and highly coveted dyes to royalty and the governing classes. Emperor Nero (37-68 CE) issued a decree that only he, the emperor, had the exclusive right to wear blue or purple garments. Many other Popes, Kings, Emperors and royalty also restricted the knowledge of how to correctly make the sacred blue dye and thereby kept the secret only for themselves. Therefore, over the centuries, the Jewish community lost the original knowledge as to which species of shellfish produced this dye to carry on the tradition of the techelet (turquoise-colored) string. 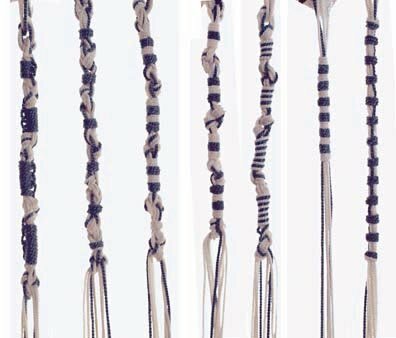 Therefore, over the last 1,300 years, upon the loss of the ability of the Jewish people to fulfill this commandment; their tzitzit (tallit strings) have been white. Due to the unacceptability of wearing non-pure techelet, the Jews have worn only plain white tassels upon the corners of the High Priest's clothing, their prayer shawls, the tapestries in the Mishkan, (which is the portable tabernacle or worship facility which the Jews carried with them in Exodus) and upon the laymen's clothing, (Tzitzit). Today, there has been a rebirth of the techelet dye with a sea creature that has been identified as the "Chilazon" by Jewish religious scholars in Israel. "They shall make for themselves Tzitzith (fringes) on the corners of their garments for their generations and they shall put in the Tzitzith of the corner a thread of blue (Techelet)." "The blue dye for the Tzitzith must be produced from a creature called Chilazon." The "blood" of the Chilazon was added to other ingredients and boiled (Menachot 42b, Rambam Tzitzith 2:2). The Talmud says that Techelet was very expensive. When it was found that unscrupulous dye dealers had been selling a counterfeit blue dye; a chemical test was developed by the religious scholars to determine whether or not the blue dye was genuine Techelet (see Menachot 43a, Rashi and Rambam). From the wording of the Tosefta quoted above, it seems that the blue dye had to be made from the Chilazon. Some believe that this was part of the oral tradition given to Moses on Mount Sinai when the Lord appeared to Moses in a cloud of azure (blue) and gold. Since the Christian Bible does not address information about the chilazon, it is only from the writings in the Talmud, the ancient Jewish rabbinical discussions, from which this lost knowledge was rediscovered. The color of its body is like the sea. Its form is like a fish. Tyre, Lebanon: The Mediterranean coast was the center of the dyeing industry in the ancient world. "Tyrian Purple" came from the port of Tyre in Phoenicia in what is now known as southern Lebanon. It's flourishing maritime trade, and its dye and glass industries made Tyre very powerful and wealthy. (See Isaiah. 23:8; and Zechariah 9:3). Strength: King Hiram of Tyre (see 1 Kings. 5:1; 2 Chronicles. 2:3). The exact origins of the city of Tyre are unknown, however the ancient historian, Herodotus, purports it to have been founded about 2700 B.C.....or approximately 5,000 years ago. Noted for its rocky land and magnificent cedar trees, Tyre consisted of two separate parts, ...a rocky fortress on the mainland, called "Old Tyre," and the city, itself, which is built on a small, rocky island about half-a-mile from the shoreline. (See Matthew 11:21 and Acts 12:20). While most people of the time wore only unbleached wool garments, it is only natural that the purple dye of Tyre quickly became valuable and the city of Tyre soon held a worldwide celebrity due to the prized colors and the durability of its beautiful tints. The dye industry was a source of abundant wealth to the inhabitants of the Tyre. Below, is a Tyrian coin from the city of Tyre, dated 200 C.E., (Common Era) depicting the legend of Hercules' dog discovering the Murex snail. 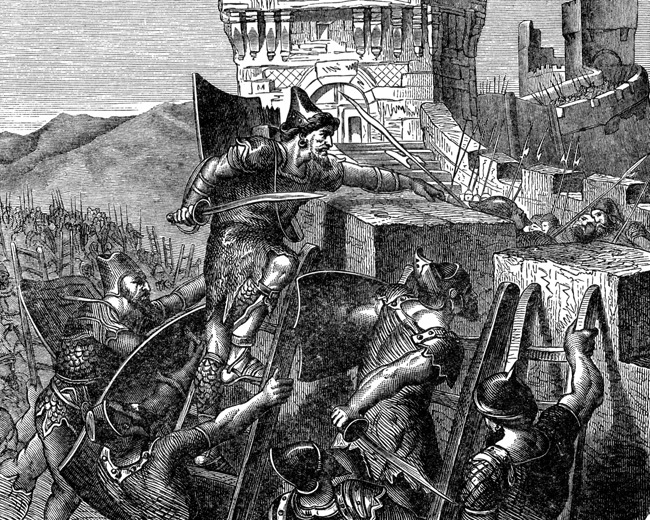 Below is an illustration of the Siege of Tyre by the Babylonians. Sidon, Lebanon: Approximately 20 miles north of Tyre, and named after Noah's great grandson, is the once opulent and prosperous city of Sidon, now best known for its fishing industry. Sidon was originally included within land in the territory of Asher, one of the 12 tribes. Asher, Benjamin, Dan, Gad, Issachar, Joseph, Judah, Levi, Naphtali, Reuben, Simeon and Zebulun. Noah (circa 2944 B.C. )...Father of Shem, Japheth and Ham, all of whom went forth from the Ark. Simon-Sez: For those of the Christian faith, Jesus Christ is a direct descendant from Isaac's bloodline. Hiram Abif was a man of Tyre, Lebanon (Phoenicia) believed to have come from the tribe of Naphtali. Are Masonic blue and Techelet the same color? The murex trunculus, the sea snail found on the Mediterranean coast, is currently believed by Jewish scholars to be the source of this coveted and long lost techelet dye. Remains of Techelet Dye Factories: To this day, there is still a hill of snail shells 100 meters long and 50 meters high, called Murex Hill in Sidon, Lebanon, which is about halfway between Beirut and Tyre, Lebanon. The distance between Beirut and Tyre is approximately 79 km...or about 49 miles. Both cities are located on the Mediterranean Sea. This hill of snail shells in Sidon, Lebanon was formed by the refuse from the Phoenician dye factories of long, long ago. Phoenician artisans were skilled workmen in many different crafts. Newer structures have been built upon the hill, but some of these Murex snail shells can still be seen today, on the lower part of the hill. Rediscovery of How to Create Techelet: The long lost secret to obtaining the techelet dye was rediscovered in 1980 by a chemist from the Shenkar College of Fibers by the name of Professor Otto Elsner. Initially, the "blood" (internal composition) of the Chilazon is purple in color. However, Professor Elsner discovered that if a solution of the dye was exposed to sunlight or ultra-violet light,... the color blue, instead of purple, was consistently produced. The Application of Light: I find this as wholly compelling...not because of the chemical color change, itself, but because much like mankind, when "light" was applied, the previous color (purple) was changed into tekhelet...sacred blue, the color of perfection. This is another instance of blue and gold being used together to create a perfect "whole". Ptil Tekhelet Foundation: In 1993, and located in Jerusalem, Israel, the Ptil Tekhelet Foundation (The Association for the Promotion and Distribution of Tekhelet) was formed for mass production of this tekhelet, as well as to continue further research into once again providing the Jewish people with true and pure tekhelet for their garments, as outlined in the Holy Scriptures. Approximately 30 Murex snails are needed to produce enough dye for a single garment's strands. This is in keeping with the Talmudic statement that "the dye is expensive." Unlike many other dyes, the pure blue dye called tekhelet is also colorfast and does not fade. Three days in strong bleach will not change its color. Techelet is also the color of the Israeli national flag. The Talmud, the record of rabbinic discussions pertaining to Jewish law, ethics customs and Jewish history, asks the same ancient question about Tekhelet that we ask about Masonic blue...and that is: "Why blue?" "Because this color resembles the sea, the sea resembles the sky and the sky resembles the "Chair of Glory". After so many centuries, the rediscovery of how to fulfill the commandment of wearing true tekhelet...sacred blue...the color of perfection, is once again, available to the Jewish people.